• Colorless, volatile liquid; sweet odor. Irritating to eyes/skin/respiratory tract. Toxic. Also Causes: tingling limbs, anemia, CNS effects, heart problems. Chronic: dermatitis, liver disease, CNS effects. 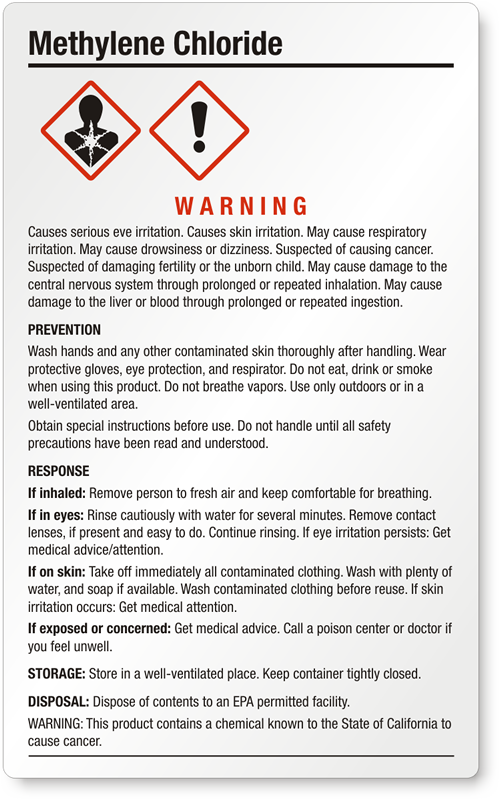 Possible reproductive effects/cancer hazard. 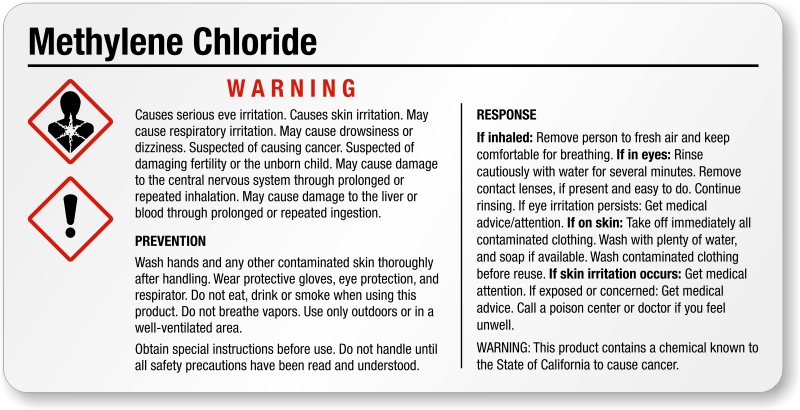 Methylene Chloride: Causes serious eye irritation. Causes skin Irritation. 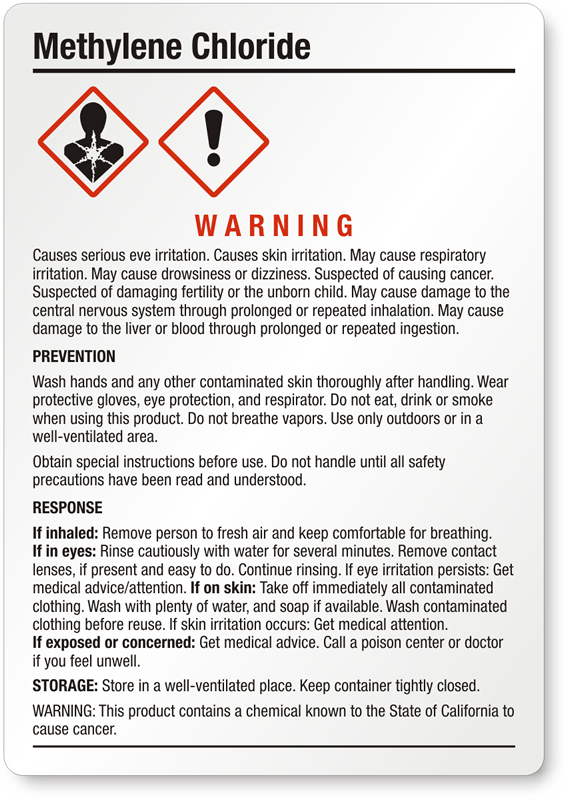 May cause respiratory irritation. May cause drowsiness or dizziness. Suspected of causing cancer. Suspected of damaging fertility or the unborn child. 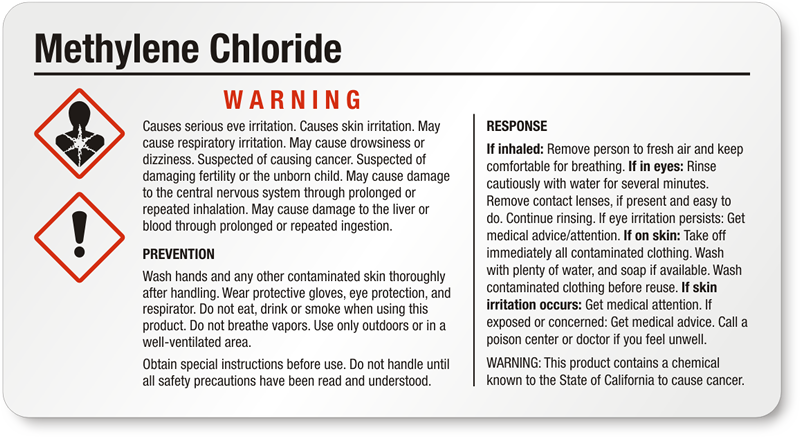 May cause damage to the central nervous system through prolonged or repeated inhalation. 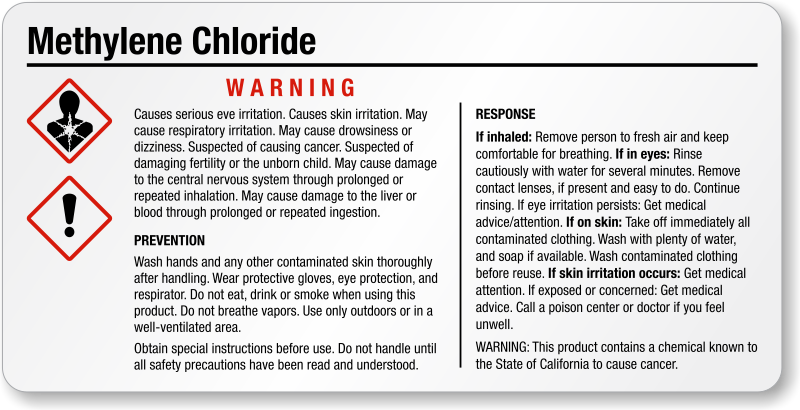 May cause damage to the liver or blood through prolonged or repeated ingestion.